Let fans of your local team show their appreciation with these sport jersey USB flash drives. 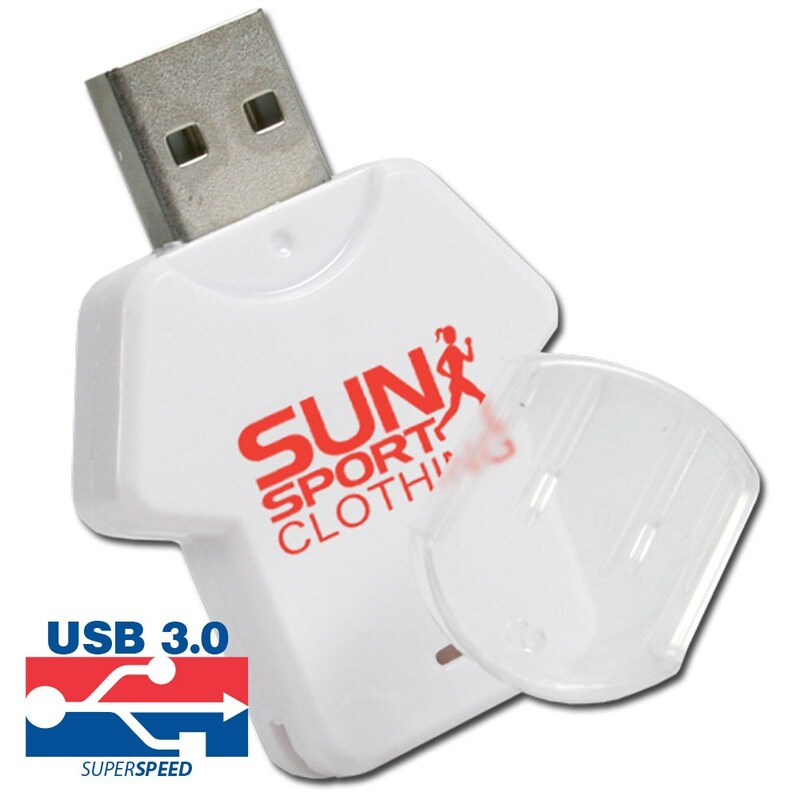 We use silkscreen printing to place your company or team logo on the front of these unique, custom sports jersey shaped flash drives. 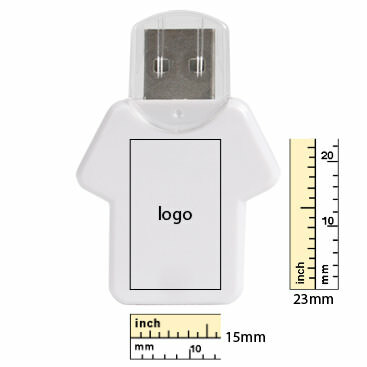 These custom USB flash drives would be great to use for fundraisers that benefit your local school athletic teams. Coming in white, black, yellow, blue and red you can even match these drives to your team’s colors. A great promotional item for sports bars, gyms, colleges, and charities as well. You can even ask us to preload some content for you such as game schedules and events. Give your customers and fans a piece of your team with the Sports Jersey Shaped USB Drive that they can use for years to come. 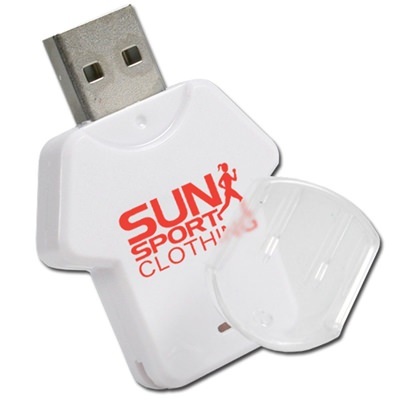 Get into the sporting spirit with the Sports Jersey shaped promotional USB drive which features a highly customizable case and flash memory. The drive (the shirt portion) comes in a variety of colors to suit your custom printed logo or artwork right in the middle where it can be easily seen. 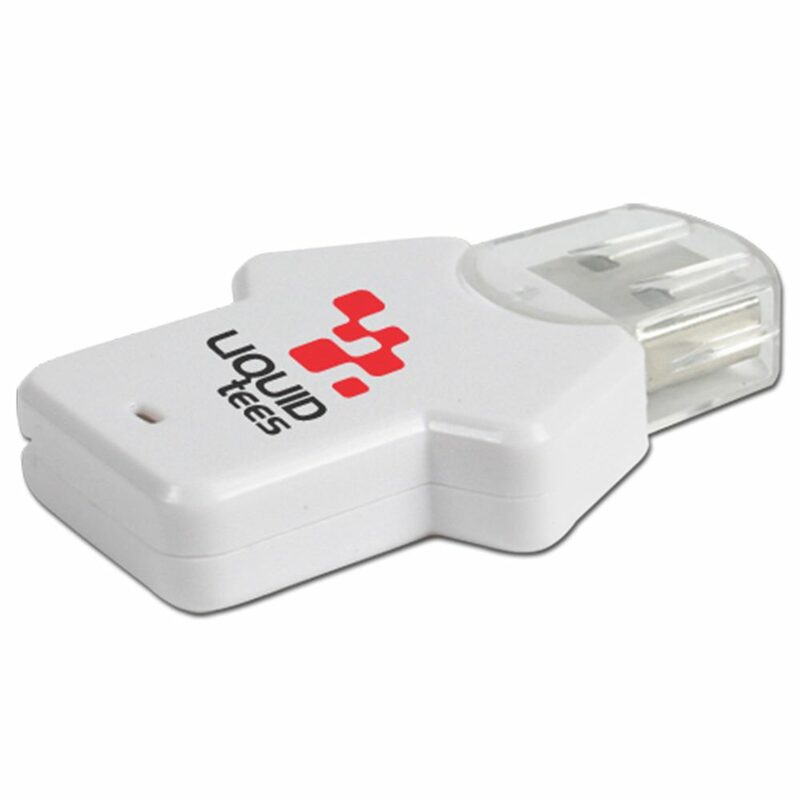 The USB port is protected by a clear cap to ensure long lasting data storage. 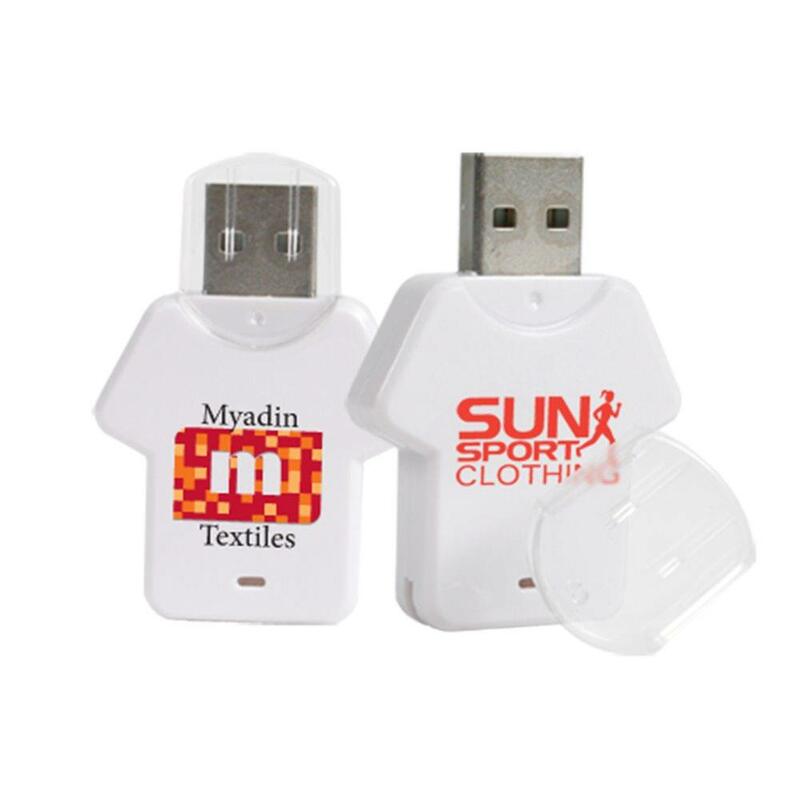 This promotional memory stick comes in either USB 2.0 or 3.0 transfer speeds and up to 32GB of storage space. It’ll be a much loved gift or freebie item from companies in sporting goods, athletic teams, fundraising entities, and more!